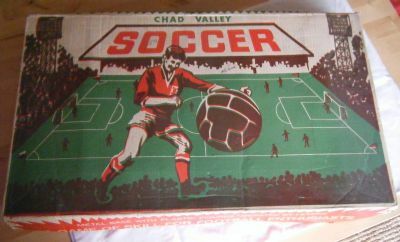 Probably the most recognised football game that was produced for decades by Chad Valley. 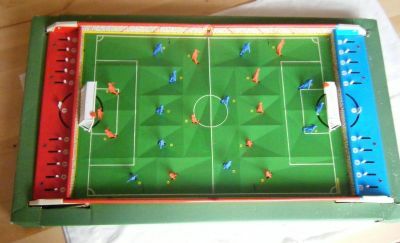 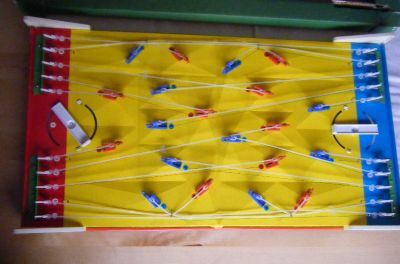 Mix of tin and plastic with complex levers to operate the players. Ageless football design that could be the 40's or the 70's. 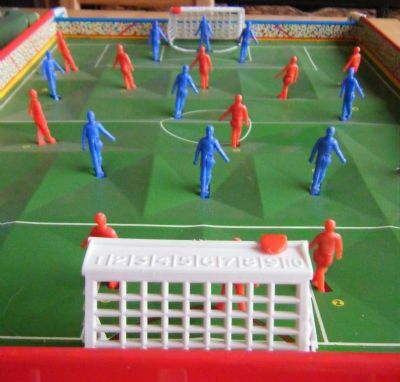 This is an absolute design classic that has had many imitators. 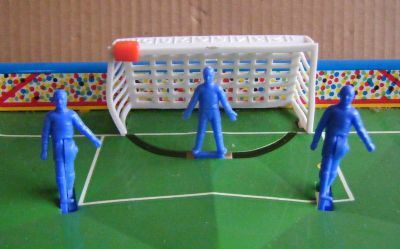 Pull the levers to make the players kick.